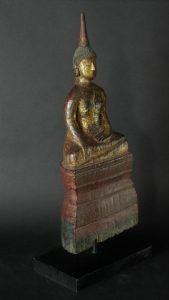 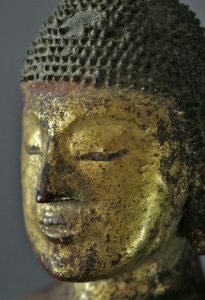 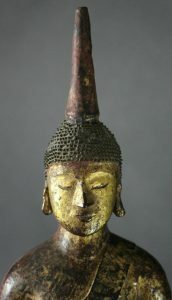 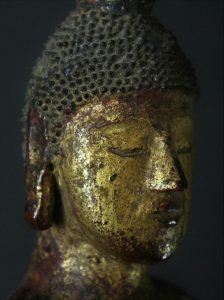 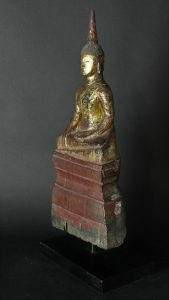 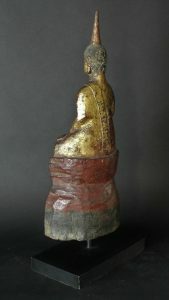 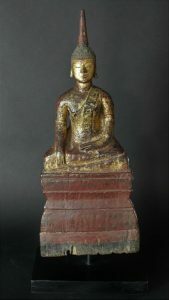 Very Charming Lao gilded and lacquered Wooden Folk Buddha. 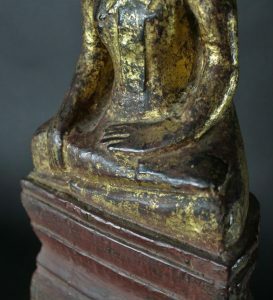 Sitting in half lotus , hands in Bhumisparsha mudra on a red and black coloured base Luang Prabang These Buddhas were often placed in rural earias under rocks or in caves or hollow trees or at the base of big trees shrines as an offer. 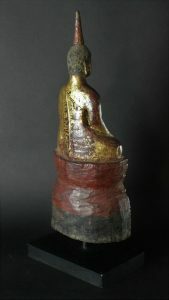 Locally made. 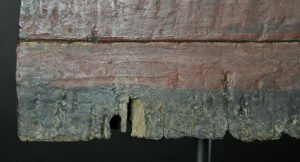 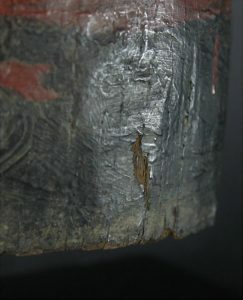 Placed on a black base but is easy to remove.